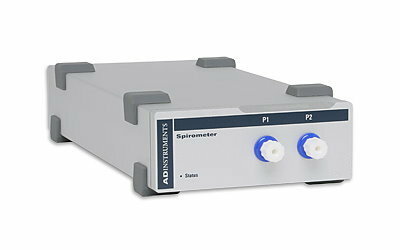 Thank you for your interest in Spirometer. Please complete and submit the form below and an ADInstruments representative will aim to get in touch within one working day. If you’d like to speak to someone immediately, office contact information is available from the contact page. The Spirometer is a precision differential pressure transducer, which is used together with a pneumotach flow head to measure the flow and volume of air that can be inhaled and exhaled. Therefore, it is useful for lung function indications and assessing breathing patterns associated with conditions such as asthma, bronchitis, pulmonary fibrosis, cystic fibrosis, and chronic obstructive pulmonary disease (COPD). 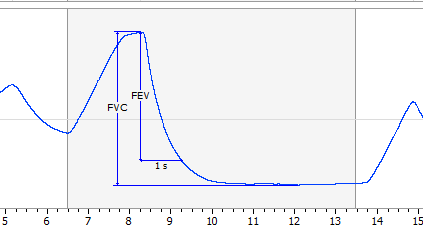 By selecting a suitably sized respiratory flow head, the Spirometer can be used with small animals (mice and rats), large animals and humans. 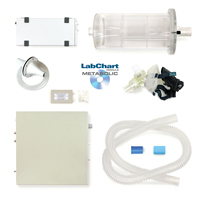 Additionally, it can also be used with the Heated Pneumotach 800L with Heater Controller, which has its own heated flow head to eliminate condensation, making this combination ideal for continuous human exercise studies. The Spirometer is also supplied when purchasing the Exercise Physiology System or Exercise Physiology Kit. Low-pass Filtering: 1, 10 and 100 Hz (software selectable) using fourth order Bessel filter. Interface communications rate of ~50 Kbits/s.